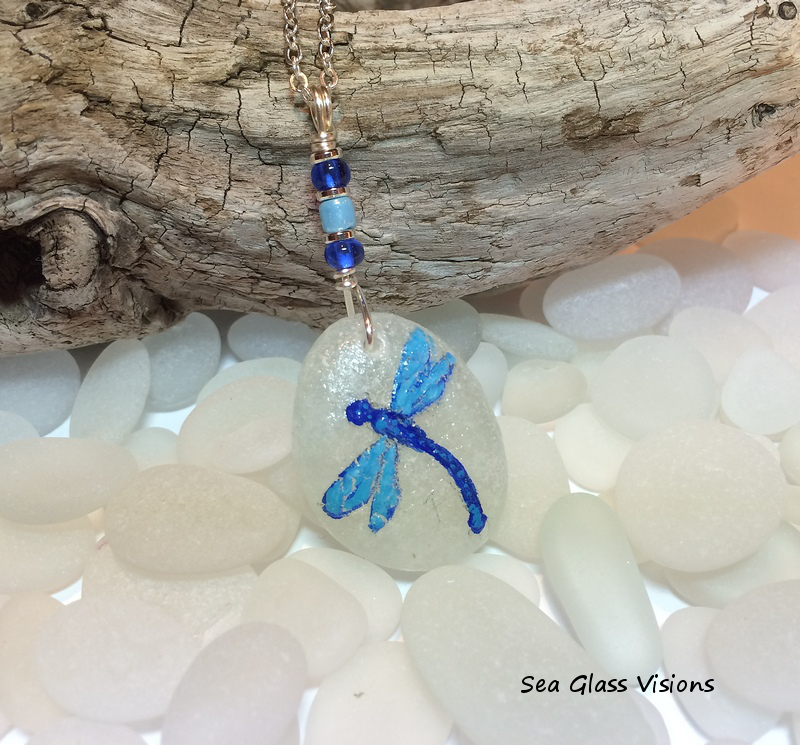 I Am Still Here Loving Sea Glass! 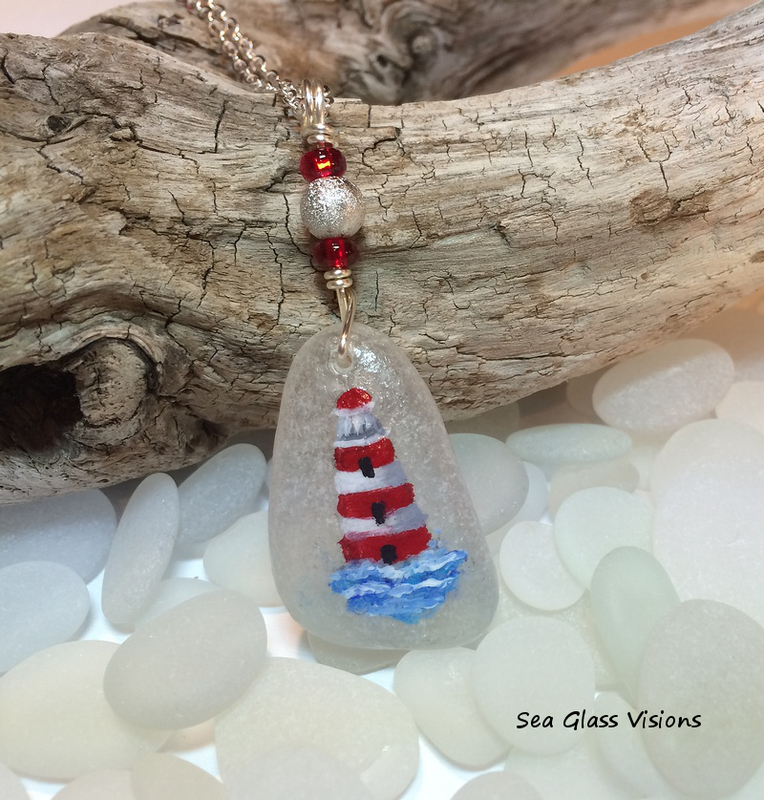 I am thrilled to be offering beautiful and original hand painted sea glass jewelry in my Etsy shop and at my craft fairs! The pendants are painted by my childhood friend, Kate Cocoros, also known at Painter Kate. Kate is a very talented artist and has a wonderful and whimsical style that perfectly compliments my jewelry style. 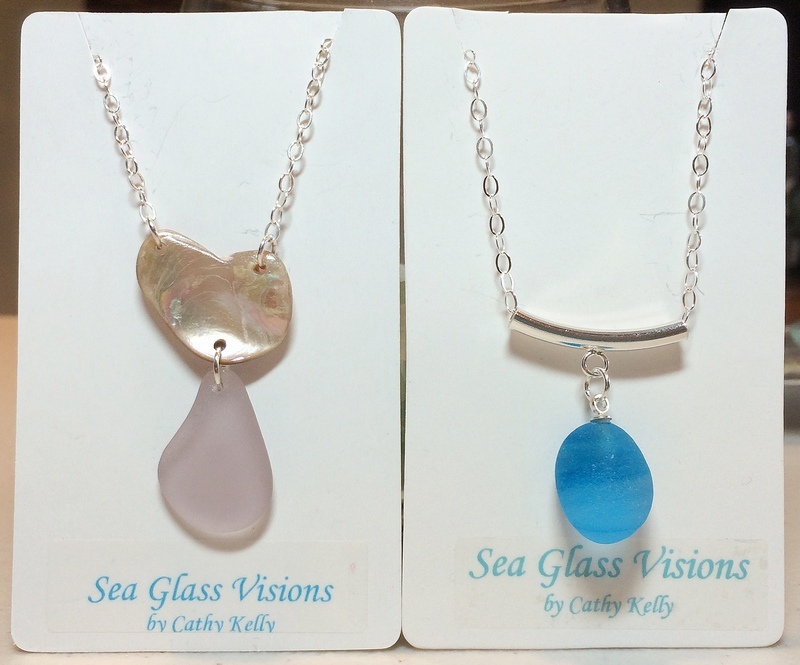 Kate paints these lovely pendants on frosted white jewelry quality California sea glass with acrylic paints and the surface is sealed. I then wire wrap bails and add decorate beading and necklaces. Below are just some of the fabulous designs that are available! 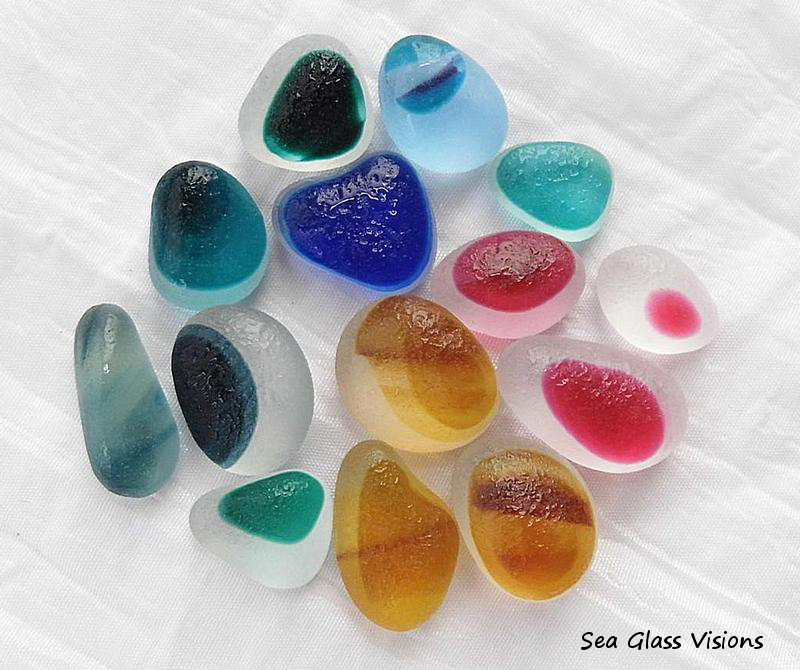 I did something really smart for my sea glass hob-business (hobby/business) today. I unfollowed about eleven Facebook pages. “CFO” – Here is a general definition of a CFO or Chief Financial Operator, another hat I wear – the Chief Financial Officer (CFO) provides both operational and programmatic support to the organization. The CFO supervises the finance unit and is the chief financial spokesperson for the organization. The CFO assists on all strategic and tactical matters as they relate to budget management, cost benefit analysis, forecasting needs and the securing of new funding. When my hubby said to me last month it was time to get all my tax records together I froze. I am by nature extremely organized but still dreaded this. And worse was I knew it was coming, and I knew it was coming for a long time. I had all my receipts in one place and had even kept records in my ledger book, but there was a whole lot to gather up from credit card records and online in my email receipts. When I was setting up my workbench, one of the most difficult and important decisions was lighting. For many months I had been using a regular table lamp with a 150 watt soft white bulb. It worked well, but I often felt my eyes growing tired. I knew I needed more direct light. Then we decided in order to accommodate my growing sea glass collection and all the “stuff” that goes with it, it was time to purchase a piece of furniture that would work as storage for all my goodies as well as a new TV. My “studio” is our family room and I have to admit things were getting out of hand. 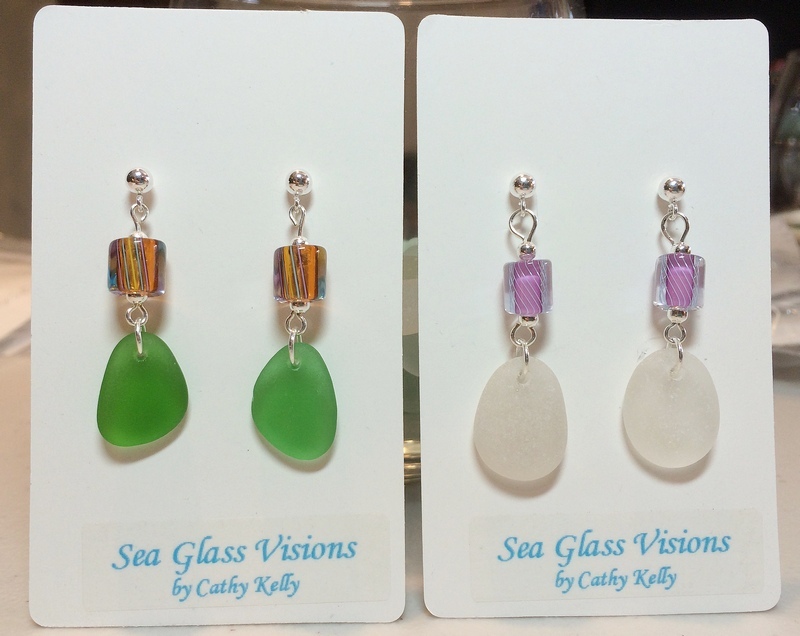 I really enjoy creating sea glass jewelry. 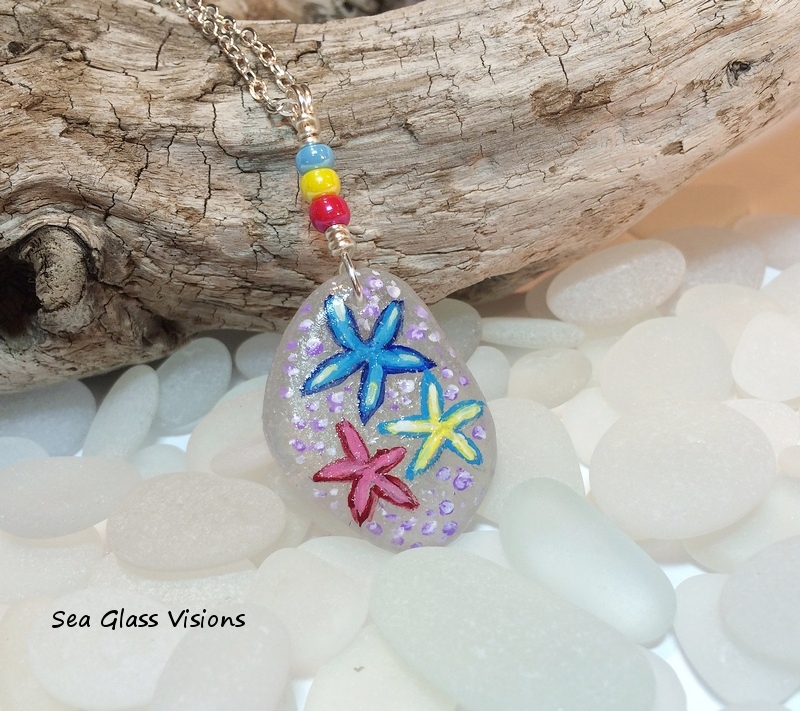 I consider it the icing on the cake of my sea glassing hobby. 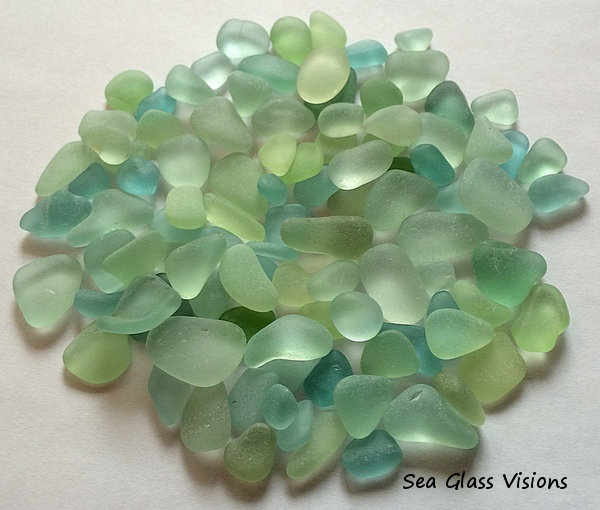 How lucky and I to be able to find the beautiful sea glass (or, as is the case with beautiful English Seaham Beach glass, purchase it) and then be able to “play” with it and then sell it? VERY lucky! It is also fun to look back over the course of a short year and a half and see how my styles and techniques have changed and improved. 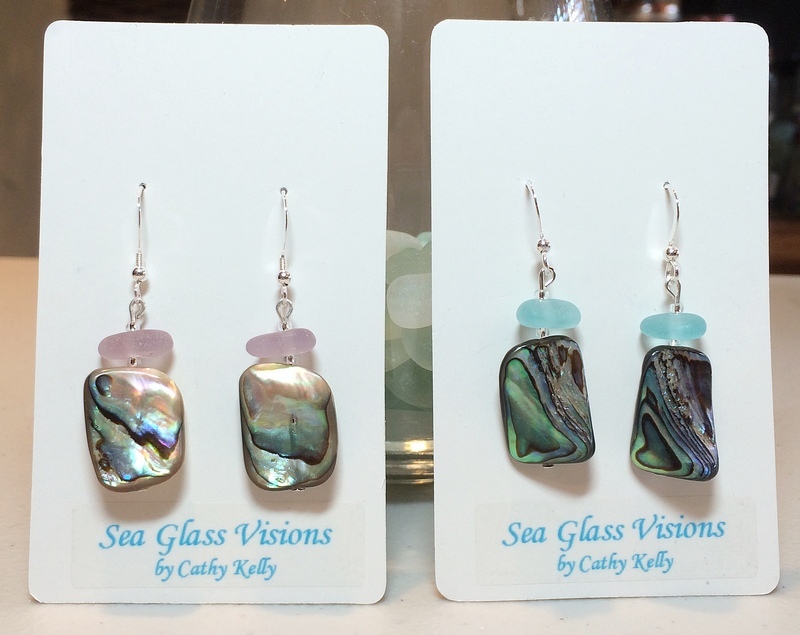 When I started creating jewelry I used locally found sea glass and findings from local craft shops like Michael’s and A.C. Moore. This is exactly how my journey should have started. Sea glassing was new to me. 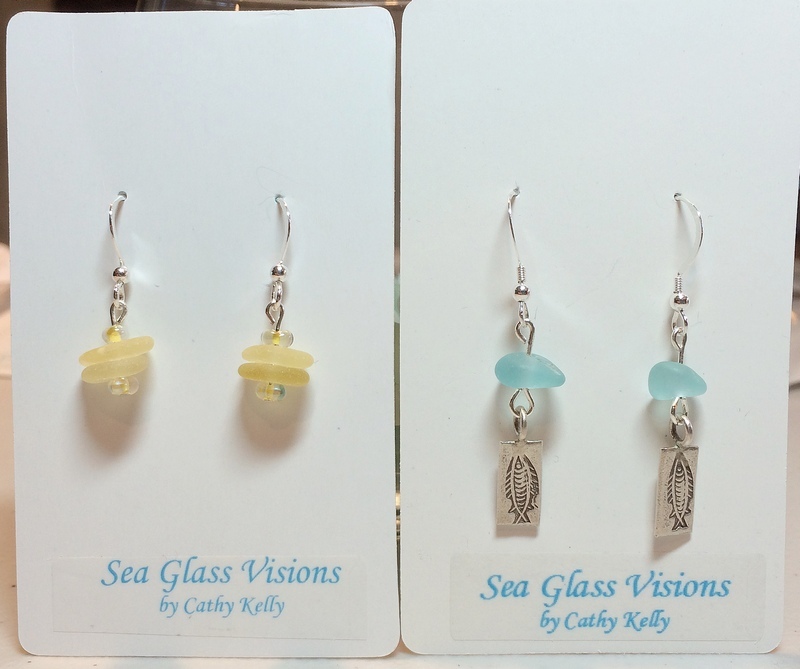 I hadn’t paid much attention to sea glass before even though I’d seen it used in jewelry in shops in places like Hatteras, North Carolina and Rock Hall, Maryland. I was shown a sea glassing area by someone I knew who had been shown the area by someone she met. It was a place on a river that was full of sea glass and pottery. I picked up each and every piece I saw and I wanted to start creating jewelry. But how to start? 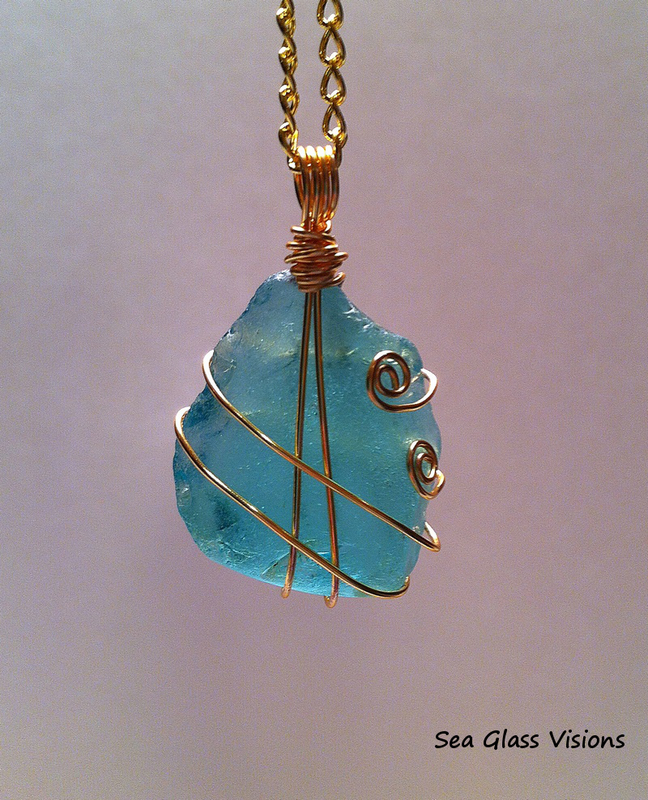 A beautiful piece of locally found sea glass with a simple gold tone wire wrap. Stunning.